Individual investor Dinh Ba Thanh has been elected the chief of the board representing more than 3,000 investors in the Prudential Balanced Fund (PRUBF1) of Prudential Vietnam Fund Management Co. 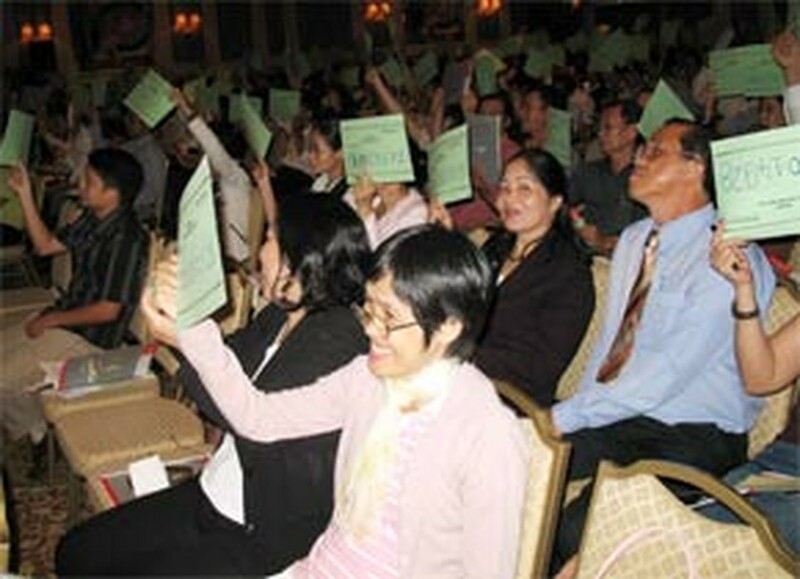 The vote was organized during the PRUBF1first investors meeting held simultaneously on September 12 in Ho Chi Minh City and Ha Noi. The two venues communicated via a live television system. The fund collected VND500 billion (US$31.25 million) through its successful initial public offering in late July and early August. Mr. Thanh, the boss of seven-company Vietnam Advertising Group, is the only individual investor in the representative board and holds a 2% stake. All the other six members are corporate investors: Le Van Be for the Joint-Stock Military Bank, Nguyen Van Hao for Prudential Vietnam, Le Chi Hieu for Thu Duc Housing Co., Tran Le Nguyen for Kinh Do Corp., Bui Thanh Nhon for Bio Pharmachemie, and Nguyen Xuan Son for Petroleum Finance Co.
HSBC was selected the supervising bank for PRUBF1, and KPMG is the auditing company for the fund. 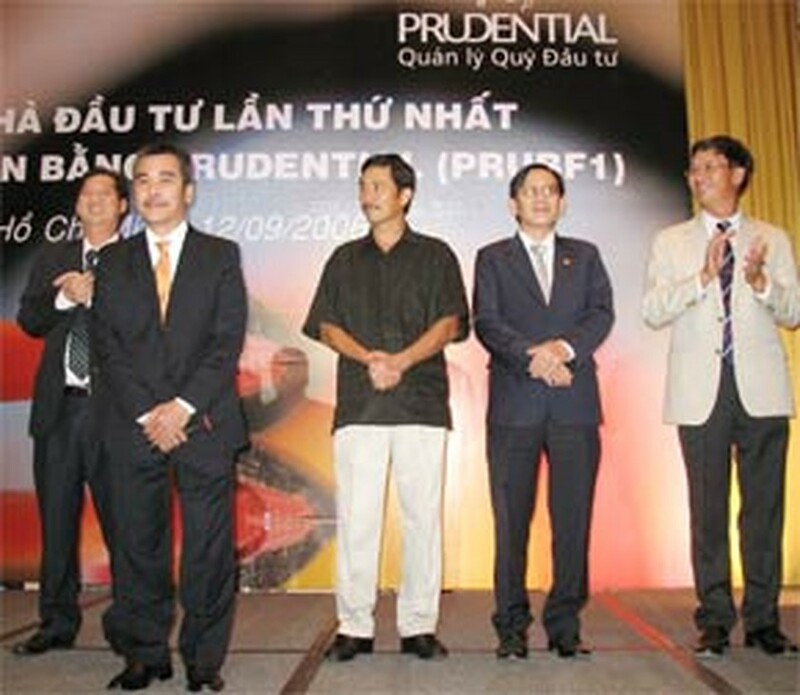 Both companies have done business with British life insurer Prudential Vietnam for years. At the first meeting, investors also approved the PRUBF1 charter. Prudential Vietnam Fund Management Company’s investment director, Andy Ho, said PRUBF1’s investment priorities in order are banking, consumer goods companies, logistics, information technology, oil and gas. 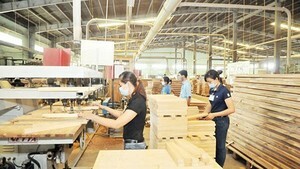 He said dividends will be paid annually and flexibly change in accordance with the index of the Viet Nam Stock Exchange. The seven-year fund’s charter says 30-70% of the capital will be invested in bonds, and 0-70% in shares, both listed and unlisted. PRUBF1 was offered to the public from July 24 to August 16 through three authorized distributors namely Saigon Securities Inc, ACB Securities and VCB Securities companies. There are 3,037 investors, up to 3,011 of them are individuals (99.1%) and the 26 others are organizational investors. Up to 3,019 investors are Vietnamese and only 18 are foreign. The success of the fund’s IPO demonstrated strong national interest in the stock market. Many individuals want to invest with their idle money, and those with insufficient experience, knowledge and time have selected indirect investment via investment funds.